The story of a disciplined and sexually driven man who keeps his family isolated in his home for years to protect them from the “evil nature” of human beings while he and his wife work on a formula for rat poison. El Festival MEX AM Northwest une a México y los EE.UU a través de negocios, música, cine, comida, artes visuales, digitales y conferencias. El Consulado de México en Seattle presenta este Festival para exponer la innovación, industria, creatividad, cultura popular y voz de México por medio de eventos en la ciudad de Seattle y área metropolitana, promoviendo un intercambio transcultural. The MEX AM Northwest Festival unites Mexico and the US through business, music, film, food, visual arts, digital art, and talks. 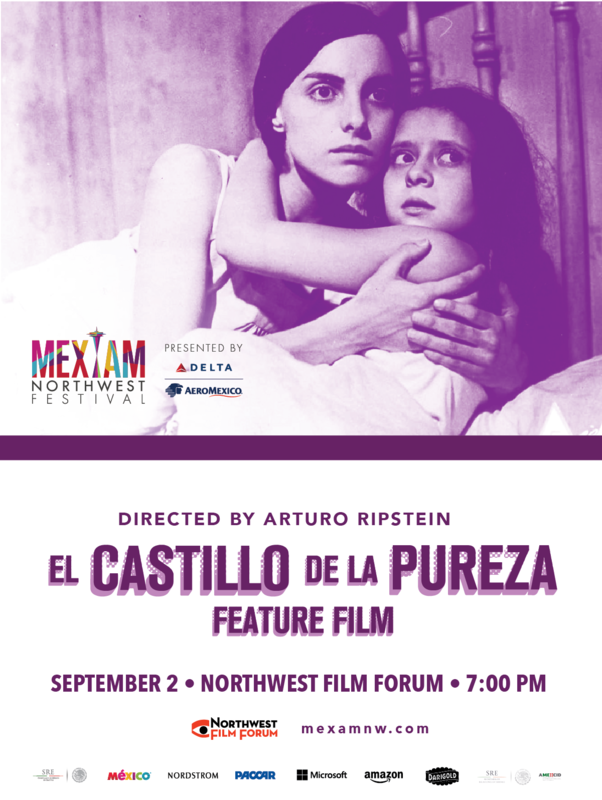 The Consulate of Mexico in Seattle presents this Festival to showcase Mexico’s innovation, industry, creativity, popular culture, and voice through events all over the Seattle metro area, promoting cross-cultural exchange.